Lee’s vintage style has been partially inspired by the 1950’s and 60’s airline posters that showcased cities, countries and air travel. We decided to combine Lee’s golf posters with these vintage travel advertisements to create a new series of golf travel images. 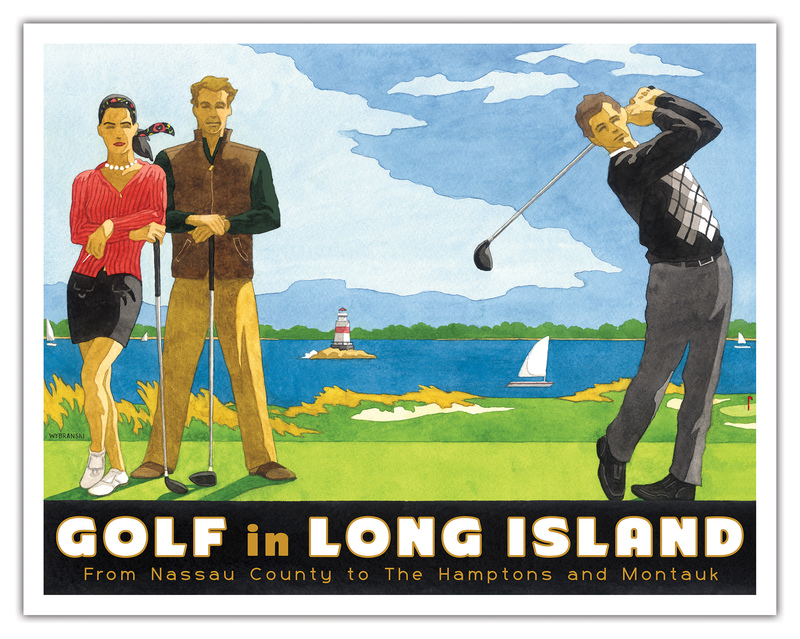 This poster highlights the beautiful coast of Long Island, home to some of America’s greatest golf courses as well as the 2019 U.S. Open.